Hear what our students and student chapters have to say about AVSAB membership. “I had a great time as the 2009-10 AVSAB student chapter president at Colorado State University. We hosted a lot of fun lectures and events. Monthly lecture topics included: (1) the importance of behavior in veterinary medicine, (2) how animals learn, (3) equine behavior and handling basics, (4) cat and dog body language, (5) alternatives to declawing cats, (6) search and rescue dog training, (7) canine separation anxiety, and (8) rodent behavior, handling and enrichment. Hands-on wet labs were included with the equine and rodent behavior talks. Another wet lab allowed us to practice low-stress handling and restraint of cats, and one of our most popular events was a behind-the-scenes tour of the Denver Zoo with the zoo’s animal behaviorist. In addition to these events, we also held monthly dog training classes for students and one cat training class. I’m perhaps most proud of our club for putting together the first annual behavior seminar held for students, faculty, local animal professionals and pet owners. The free event, titled “Ain’t Misbehavin’ – Creating the (Almost) Impeccable Pet” was packed (we even had a waiting list) and we had a lot of great comments from attendees. CSU and local veterinary and behavior experts spoke on a variety of topics regarding animal behavior and training in general, as well as specific dog and cat behavior problems. To help fund this event, we hosted a photo contest for faculty, staff and students. Winners of the “Hamsters to Horses” contest were used to produce a Behavior Club calendar that we then sold. Just over $1000 was raised from contest entry fees and calendar sales. The calendar also included behavior tips throughout. This was a fun project but a lot of work. Smitha Srinath, Behavior Medicine Club at UC Davis. My name is Smitha Srinath, and I am the current president of SCAVSAB at UC Davis. I am so grateful to SCAVSAB at UC Davis (Behavior Medicine Club) for offering many opportunities in the 2011-2012 school year to learn about the very important yet often ignored aspect of veterinary medicine-behavior! BMC’s goal this year was to promote the current standard of behavior medicine to students, veterinarians, technicians, and clients so that we may improve quality of life for animals now and in the future, and many opportunities relevant to this goal were provided! Behavior medicine applies to all fields of vet med, so BMC teamed up with other clubs at the vet school and held rounds by experts on behavior issues in many different species! So far this year, rounds topics have included: 1) puppy socialization 2) avian feather picking 3) guide dog training 4)lab primate stress reduction 5)small animal case presentation 6) shelter animal enrichment and 7) Pot-bellied pig behavior! A new team up with the FARM club was particularly exciting due to the prospect to make a big impact on the welfare of many farm animals. BMC helped out with the Farm Club’s Beef Cattle Seminar for cattle producers on cattle behavior and applications to welfare. We are hoping to continue such a team up in the future as well to continue this effort to improve the welfare of farm animals! Behavior Medicine Club (BMC) held its 8th annual symposium with various topics in veterinary behavior. CE credit was offered, and veterinarians, technicians and students were present. We are quite proud of this event since we feel the more veterinarians and students we reach with behavior medicine, the more outreach we can have and impact we can have in promoting behavior medicine and thus hopefully reduce the rate of pet relinquishment in shelters. We plan to have another symposium again next year! Behavior Medicine Club has also offered many hands-on opportunities for learning about behavior medicine! BMC held hands-on wet labs on clicker training and dog-dog aggression earlier this year, which gave us students the opportunity to learn from behavior experts how to go about both of these topics. BMC also offers a journal club, an opportunity for vet students to interact with behavior faculty and discuss current literature on behavior and learn so much in detail about different behavior topics. Perhaps what I love most are the opportunities to make a difference in both clients’ and animals’ lives through promotion of behavior medicine. Twice a month, behavior medicine club members have the opportunity to help with puppy or kitten socialization classes held by the Community Practice service at the UCD VMTH! In these classes, behavior club members socialize puppies with different veterinary objects using positive reinforcement, and teach clients about the best methods to train and socialize puppies and kittens. Currently, we are working with dogs used in research studies that will be available for adoption to make them more socialized, and even train them so that they will be more suitable to go to a home and more attractive to potential adopters. Already some of the dogs are showing improvement- they are less nervous going out and more comfortable going out on leash as a result of the work of BMC member’s work. We are excited to have the opportunity to help these valuable animals get a home and enjoy a happy life in a good home. BMC offered many opportunities to learn and apply behavior this year that we as students learned a lot from! We hope to continue in this trend and continue the opportunities to teach and learn about behavior next year too! -Smitha Srinath, Behavior Medicine Club at UC Davis. “Understanding the importance of behavior in the field of veterinary medicine, I recognized the importance of a student chapter of AVSAB. Therefore, I decided to initiate a student chapter of AVSAB at the Ontario Veterinary College in 2009. We welcomed guest speakers including Gary Landsberg, DVM, BSC, Dipl. DACVB, Sue Simmons DVM, MS, CAAB and the Gentle Leader company. The student body expressed a great interest in the topics presented as they were applicable and informative. Consequently, the students’ overall interest in behavioral medicine rapidly increased and topic requests were submitted for future presentations. Additionally, interest was sparked with our fundraiser “holiday photo shoots”, where festive photographs were taken of the students’ pets for a small fee. As a recent graduate with a special interest in behavioral medicine, I found the SCAVSAB to be a great way to introduce myself to the field of behavioral medicine. It allowed me to meet and interact with several veterinary behaviorists, as well as, gain access to other reliable resources. 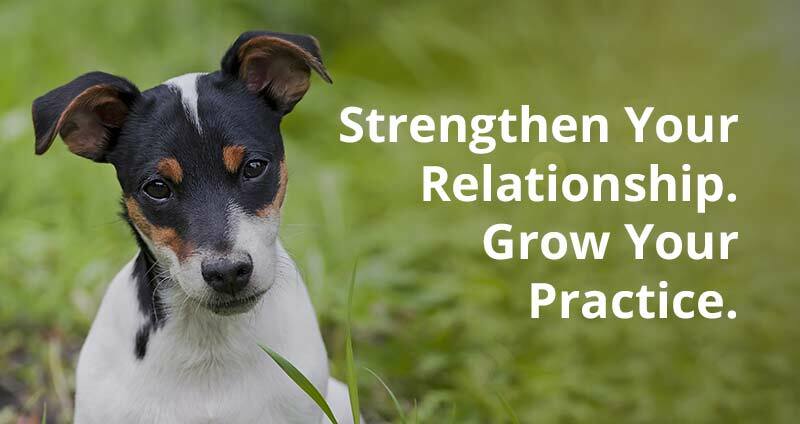 The resources not only help me gain a better understanding of veterinary behavior, but provide me with accurate information to share with my clients.